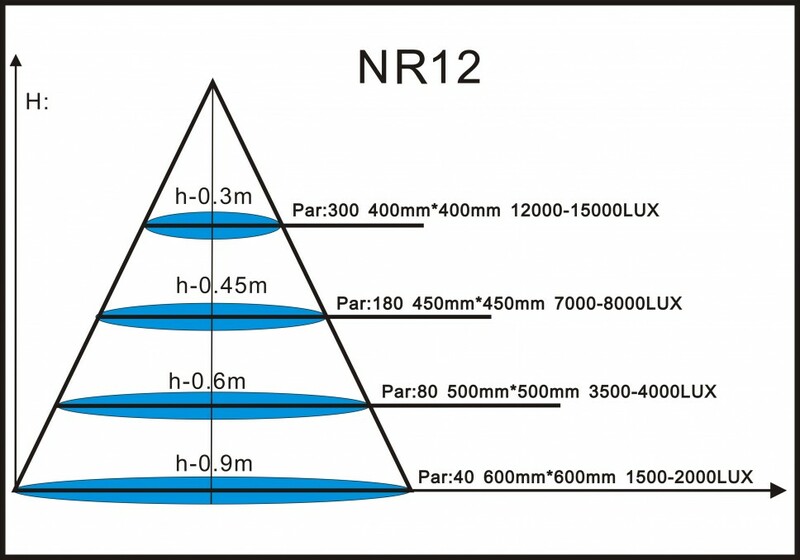 NR 12- V4 combines 12 new types of custom made dual core LEDs in the nanometer range from 380nm to 700nm for maximum photochemical efficiency. 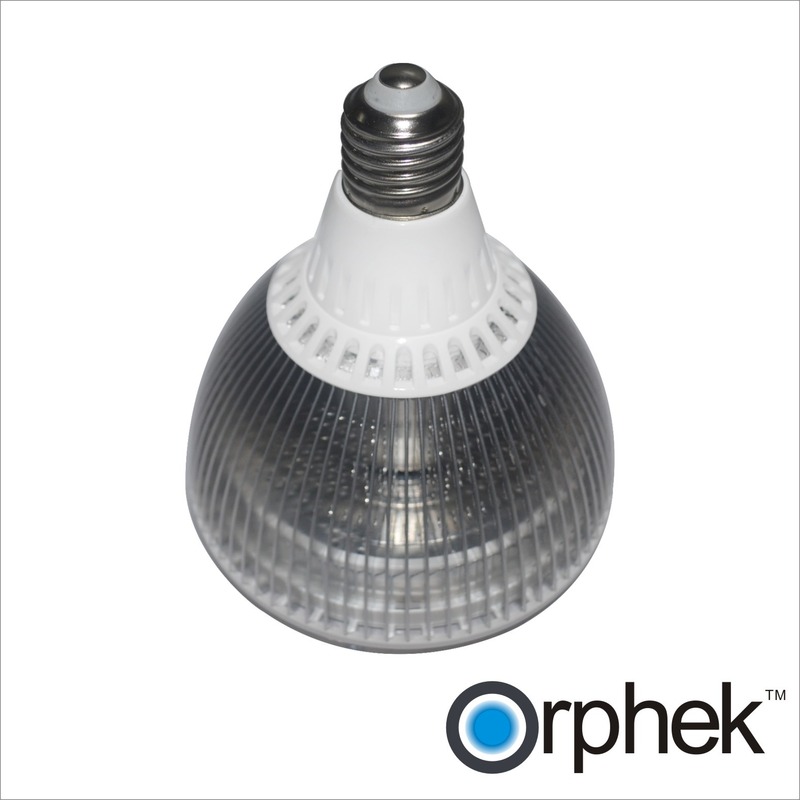 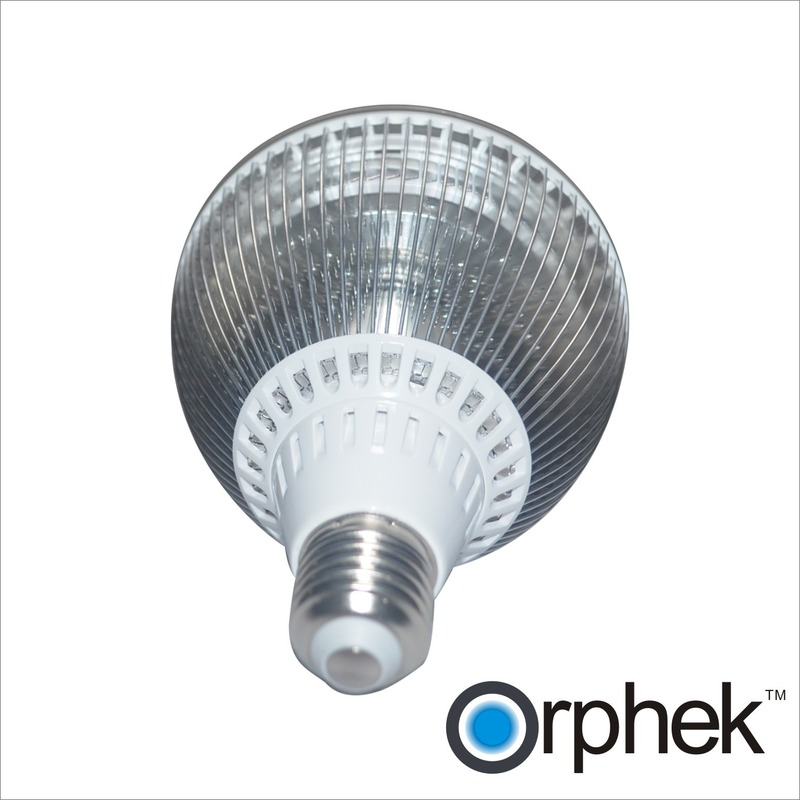 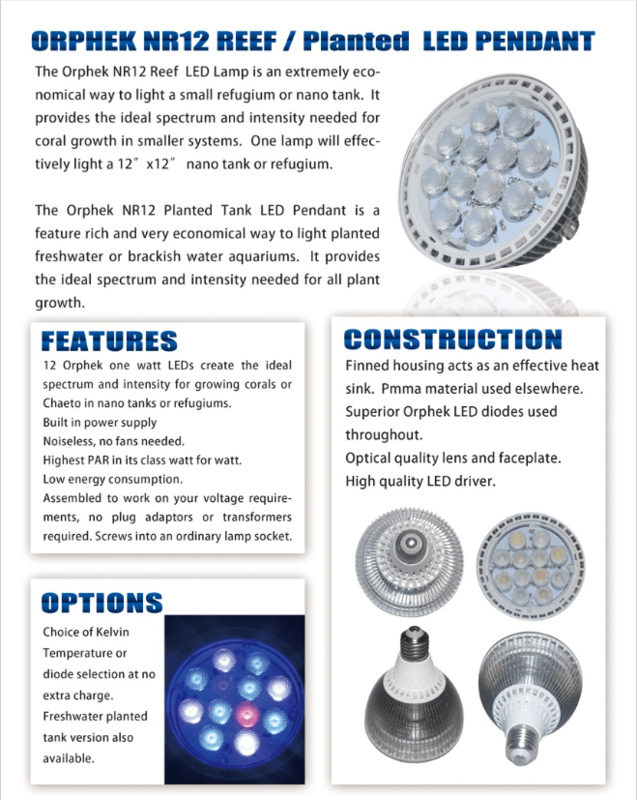 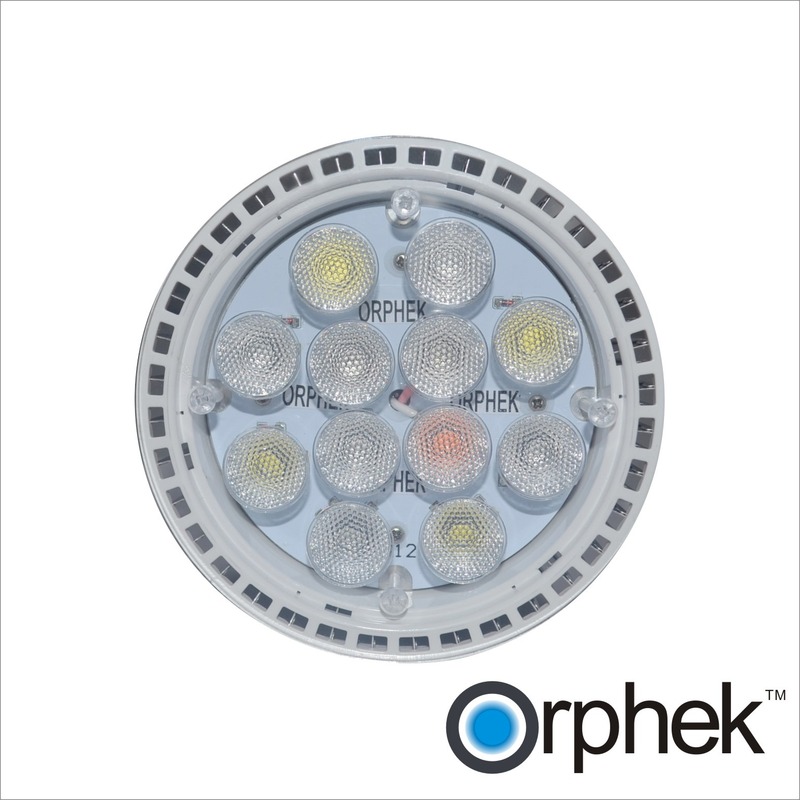 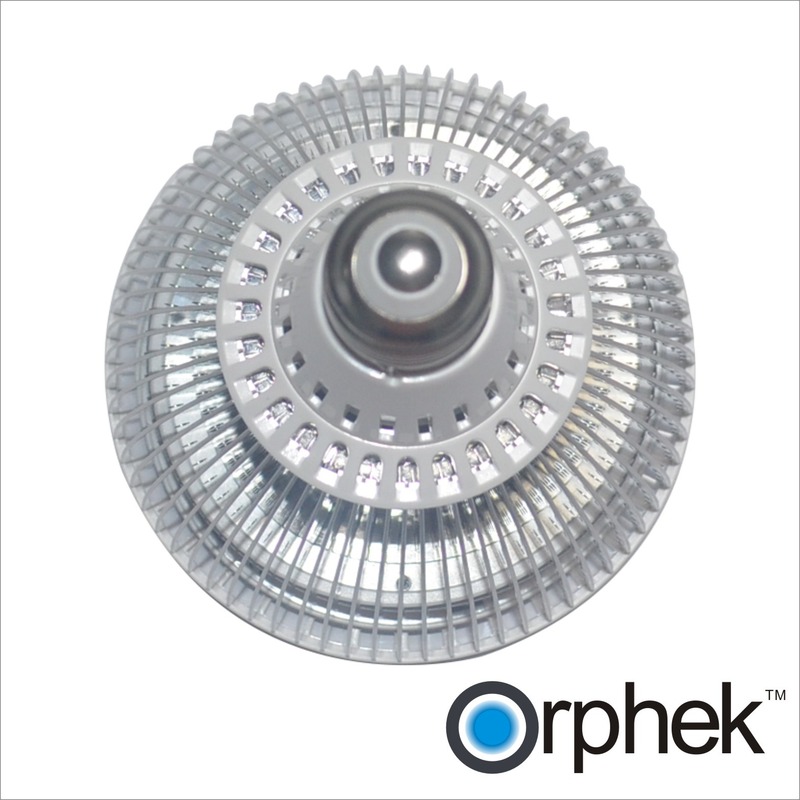 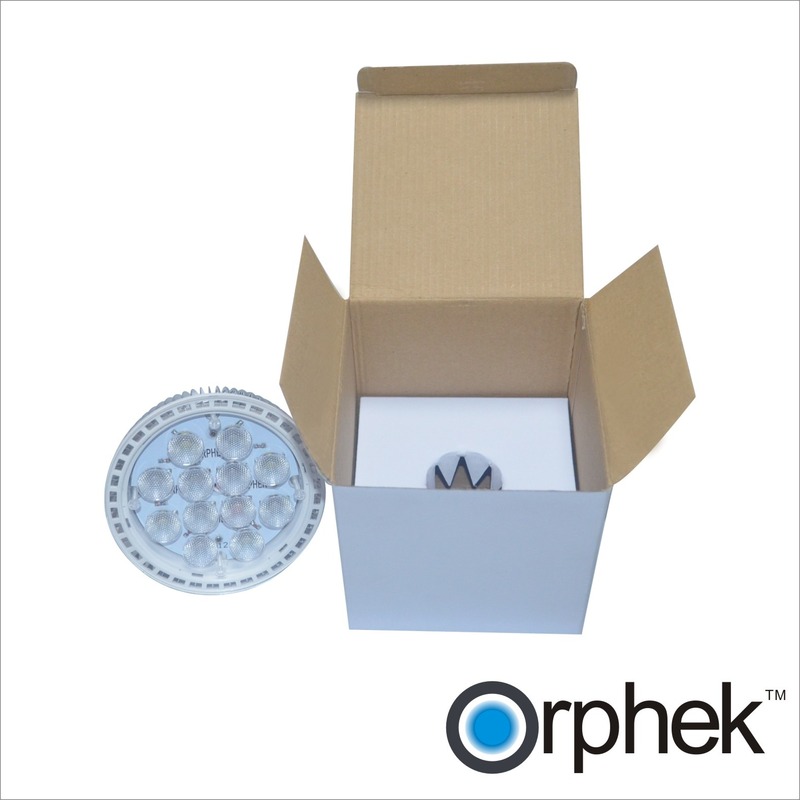 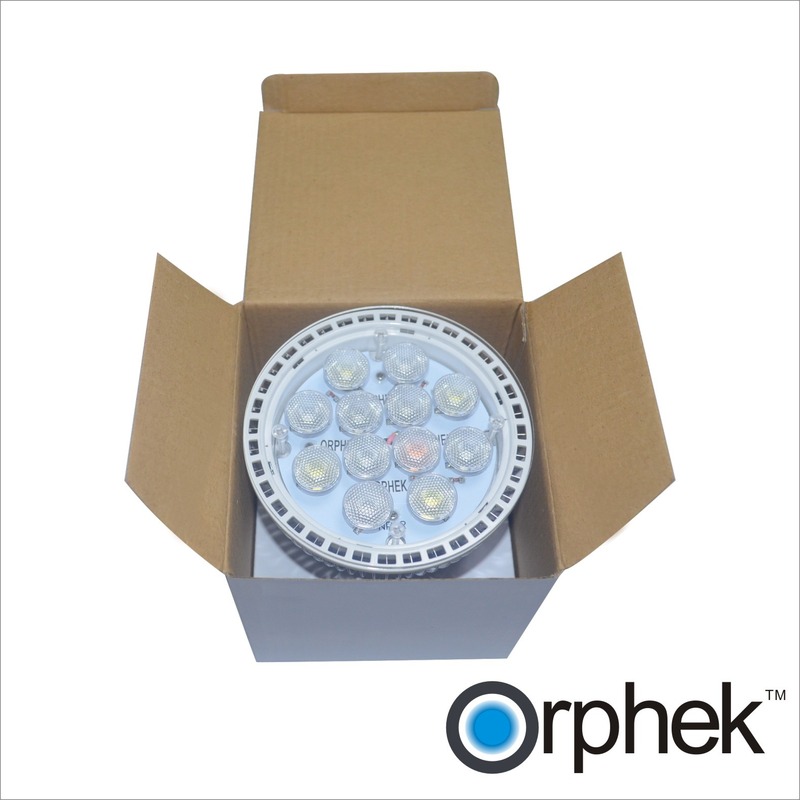 Orphek has made refugiums and small or shallow tanks easy to light with our new NR12 LED Lamp. 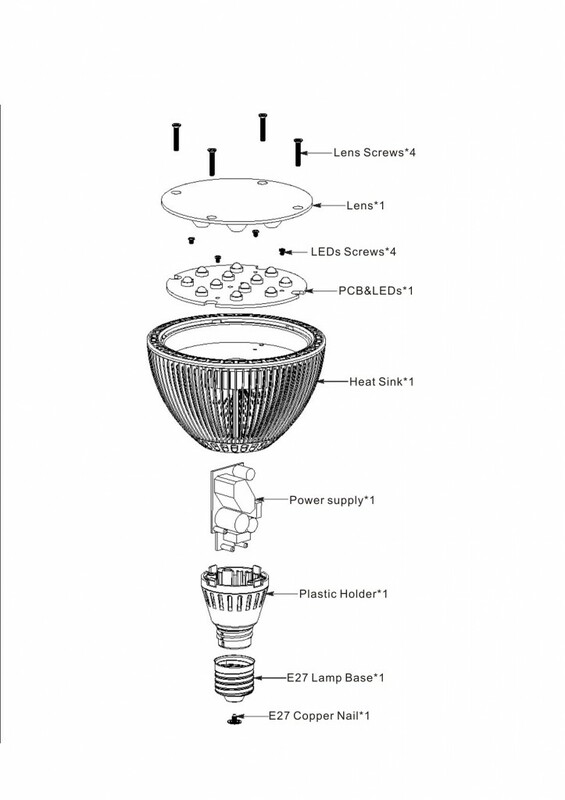 The lamp screws into a common E27/28 lamp socket and provides high PAR in a 30cm x 30cm area when hung 30cm above the water surface. 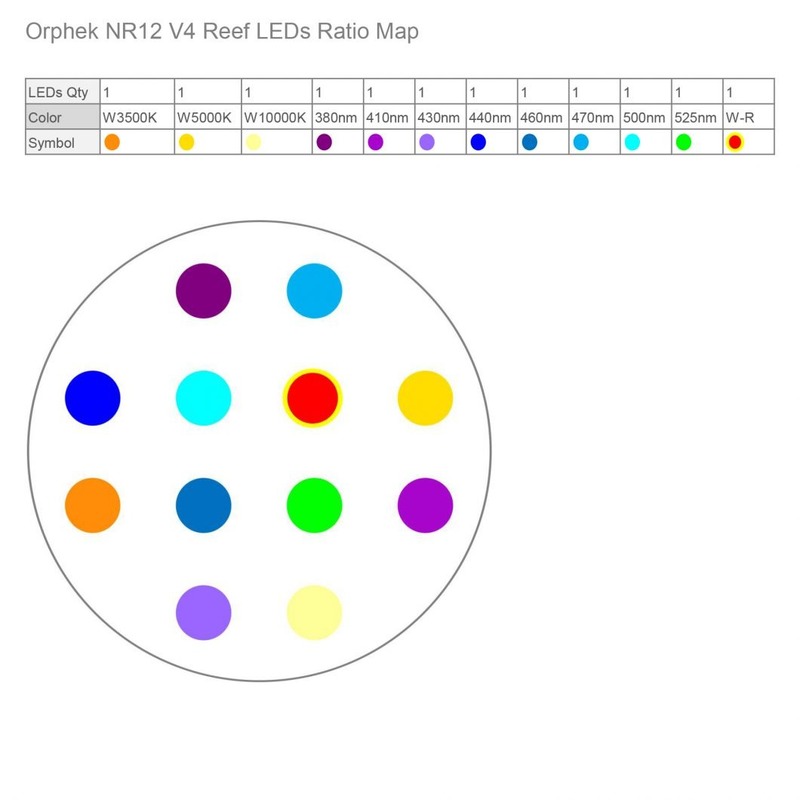 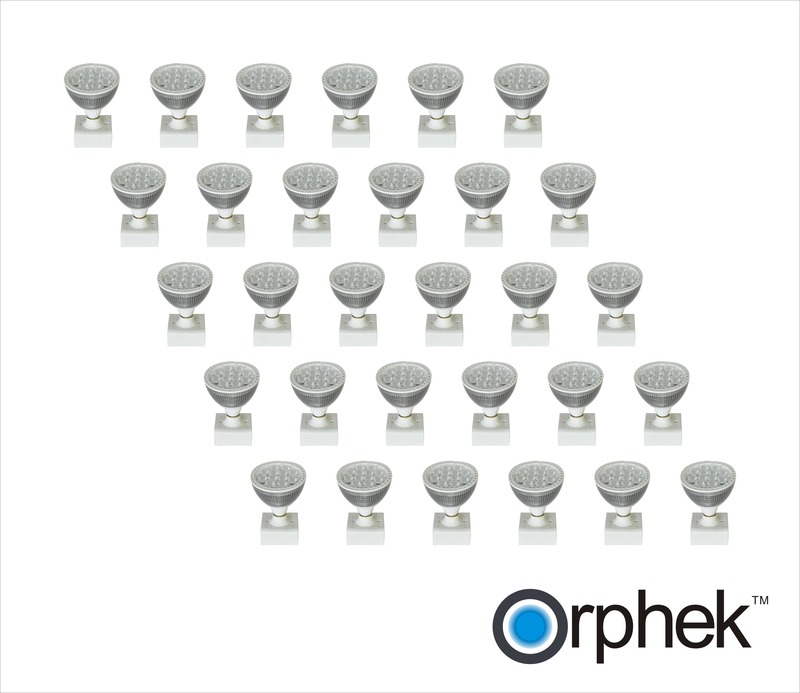 The NR12 uses 12 Orphek high technology LEDs in the configuration shown below. 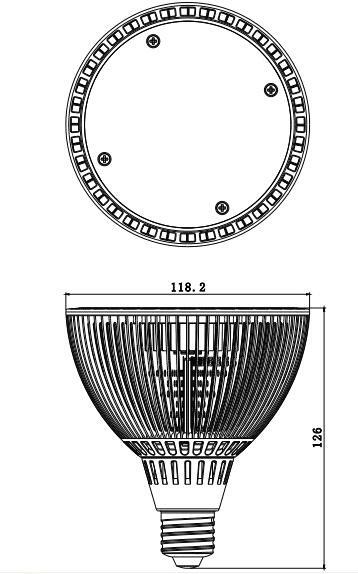 Removable for wider light spread in shallow frag tanks.